Brand new stage, Lights, PA, Drum Kit, Bass and Guitar Amps provided. Contact Sandi Grecco to reserve your slot! come down and Jam with us! Sandi Grecco Band and sign up starts at 8pm. 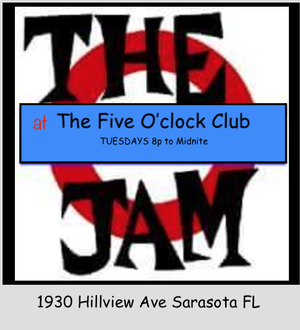 First jammers up at 9pm. First come first served. #bringit tell your friends, face time your mom, sing to your girlfriend. Got jokes, poems or spoken word? Bring that too! We look forward to the JAMS!